Osteoarthritis is a wear and tear type of arthritis. It is characterized by the bodies inability to produce adequate functional matrix to compensate for matrix damage and depletion. This affects the smooth cartilage over the end of the bone, like the end of the chicken bone. Osteoarthritis is a chronic degenerative condition with no cure. The patient often experiences pain, stiffness, swelling, loss of mobility, loss of flexibility and reduced function. Approximately 55% of Canadian’s with osteoarthritis are under age 65. There are 4.6 million Canadians suffering from arthritis and this is costing the medical system approximately $33 billion dollars per year. 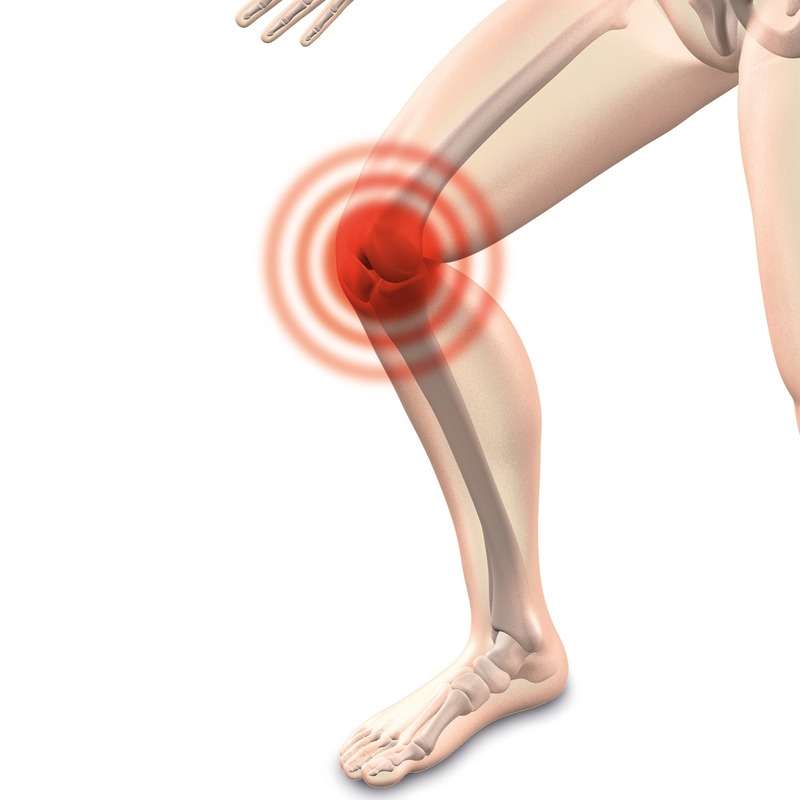 Factors affecting osteoarthritis include abnormal stress on the joint and abnormal cartilage. This creates a situation of compromised cartilage which then creates cartilage breakdown. Although osteoarthritis is known as a non-inflammatory disease has been recently discovered that a complex inflammatory response occurs in the joint stimulating production of pain and swelling. The medical doctor will perform a focused history of joint pain as well as a physical exam. The doctor might order x-rays to confirm the diagnosis. Further imaging with MRI and CT scan are usually not required. Based on the clinical exam and information given by the patient and correlating this with x-rays imaging gives a diagnosis of mild, moderate or severe osteoarthritis. Pain medication, physiotherapy, orthopedic bracing such as a custom medial unloading brace. Injection therapy is becoming more prevalent in the treatment of osteoarthritis. It is an excellent way to reduce pain, improve joint strength and improve overall function. For mild osteoarthritis, this is a recommended treatment. Pain medications such as anti-inflammatories or Tylenol could be used to treat pain and swelling but there are also side effects of these medications. Your treating physician will determine if they are suited for you. Diet, exercise and weight loss are extremity important treatments for osteoarthritis. Research shows losing 1 pound reduces 4 pounds of the load exerted on the knee per step. Bracing can provide biomechanical support. A style of brace called a hinged brace can support the knee in the every day use and is usually cost-effective. Medial or lateral compartment unloading braces are custom fit for the knee and can increase space of the narrowed side to relieve pain and to improve function. Cortisone injections are useful for pain and swelling mainly used in severe osteoarthritis. They could be used for mild to moderate osteoarthritis but it is not favored because of a landmark research paper in May 2017. It was published in JAMA. They studied the effect of intra-articular triamcinolone (cortisone) versus saline on the cartilage volume in pain in patients with knee osteoarthritis. It was a randomized control trial that looked injecting cortisone into knees every 3 months for a period of 2 years. This study found that the pain had reduced in the study patients however there was a significant amount of cartilage volume loss, in essence promoting osteoarthritis. Synthetic joint lubricant injections are becoming more popular. There are many research studies showing their efficacy and safety. There are many brands of hyaluronic acid, however, there are only 2 or 3 that are deemed to be at the top of the list. The hyaluronic acid injections are characterized by their molecular weight and cross-linkage. Those that have high molecular weight and are cross-linked seemed to be the more superior. Those that are low-density and not cross-linked are of poor quality. The studies reflect this. A new approach to joint injections uses the body’s ability to heal itself. Platelet-rich plasma is an injection that uses the patient’s own blood. This is taken from the arm as a routine blood sample and centrifuged. After this is completed the physician will extract the plasma which is high in platelet cells. Platelet cells are the potent activator of the healing cascade. When this is injected into the joint it will stimulate growth factors including platelet-derived growth factor, transforming growth factor beta, vascular endothelial growth factor. These compounds are instrumental in stimulating new blood vessel formation and helping the healing process. The processing of the blood into platelet-rich plasma results and an average of 5 times the concentration of these important growth factors in the joint. PRP can reduce pain associated with osteoarthritis. The procedure is 100% safe and there are no side effects as it is the patient’s own blood. Many studies have shown the positive effects of platelet-rich plasma on the joint. They have also shown more superior results compared to hyaluronic acid and cortisone.